The words lettuce and salad are practically interchangeable since most salads are made predominantly with the green crispy lettuce leaves. Most varieties of lettuce exude small amounts of a white, milky liquid when their leaves are broken. This “milk” gives lettuce its slightly bitter flavour, and its scientific name, Lactuca sativa since Lactuca is derived from the Latin word for milk. 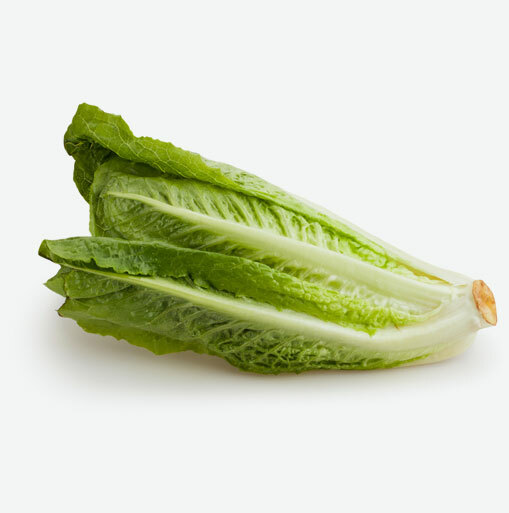 Due to its extremely low calorie content and high water volume, romaine lettuce is actually a very nutritious food. Romaine lettuce is an excellent source of vitamin A (in the form of beta-carotene), folate, vitamin C, manganese and chromium, not to mention a great source of fiber. In the colon, fiber binds to bile salts and removes them from the body. This forces the body to make more bile, which is helpful because it must break down cholesterol to do so. This is just one way in which fiber is able to lower high cholesterol levels. To clean lettuce, first remove the outer leaves and with one slice cut off the tips of the lettuce, since they tend to be bitter and sometimes a little discoloured. Chop the remaining lettuce to the desired size and discard the bottom root portion. Rinse and pat dry or use a salad spinner if you have one available to remove the excess water. Now you have a great base for a delicious salad. Add whatever veggies, fruits, nuts and seeds and drizzle a tasty dressing over it and enjoy!